To find out how Alpine glaciers would manage in a warming world, Zekollari and his co-authors used new computer models (combining ice flow and melt processes) and observational data to study how each of these ice bodies would change in the future for different emission scenarios. They used 2017 as their ‘present day’ reference, a year when Alpine glaciers had a total volume of about 100 cubic kilometers. 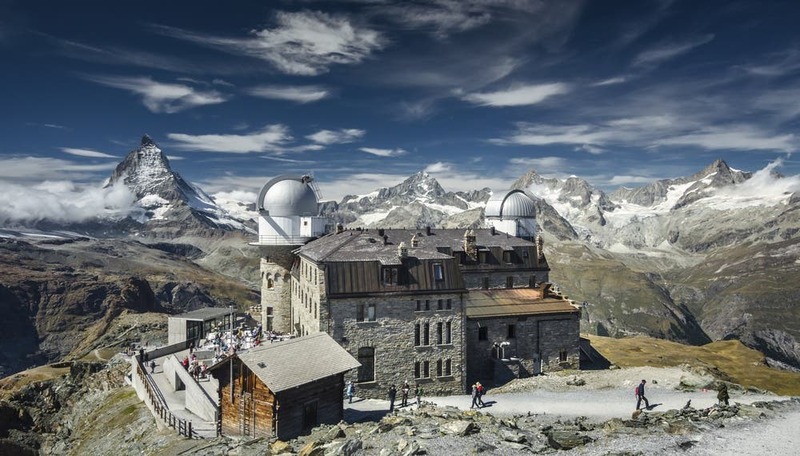 Image at top of page: Switzerland’s highest hotel, Kulmhotel Gornergrat, at the top of the Gornergratbahn at 3100meters. Shutterstock.